A Waterford city student is this years’ recipient of the Nolan Farrell & Goff Merit Prize, which is presented annually to a high-achieving student who excels in Land Law exams at WIT. 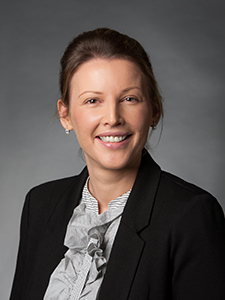 Rebecca Tennyson is a third year student on WIT’s law degree the LLB Bachelor of Laws (Honours). WIT President Willie Donnelly commended Rebecca on her achievement and thanked Nolan Farrell & Goff for its continued support of Law students at WIT. 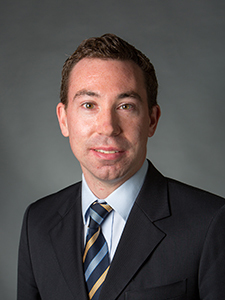 Donal O’Connell, partner at Nolan, Farrell & Goff said: “The partnership between WIT and Nolan Farrell & Goff was initiated over a decade ago and I am very pleased that it has continued to flourish. During that time the law department at WIT has advanced and grown to a stage where graduates from the law school are now conferred with degrees which are universally recognised. “I chose to study law because there are many career paths you can take with a law degree. My studies at WIT has been an amazing experience and the law lecturers have been so helpful and encouraging throughout my studies. 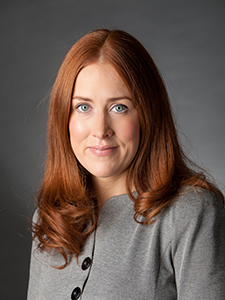 When I finish my degree I hope to do the FE1 exams and train as a solicitor,” says Rebecca. Rebecca is one of five undergraduate law students at WIT to have completed three week work placements at the Property Registration Authority of Ireland (PRA) on the Cork Road in Waterford this summer. 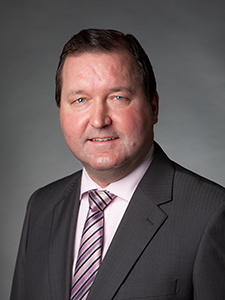 Among the largest law firms outside Dublin, Nolan Farrell & Goff Solicitors & Notaries was established in 1975 when two long established practices in Waterford – George A Nolan & Co (founded 1914) and Farrell & Farrell (founded 1920) – amalgamated. The firm is a broadly based practice, providing a full range of private, commercial and industrial legal services for the south east region. Bachelor of Civil Law – University College Dublin 1972. Law Society of Ireland – Admitted to the Roll of Solicitors in 1974. Qualified Mediator and Arbitrator. Notary Public. Bachelor of Civil Law University College Cork 1980. LLM (Master of Laws) – University College Cork 1981. 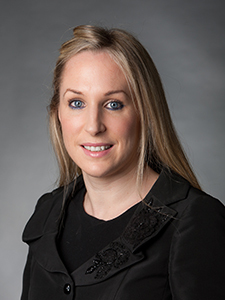 Law Society of Ireland – Admitted to the Roll of Solicitors in. Bachelor of Civil Law (BCL) – University College Cork 1980. Batchelor of Laws (LLB) – University College Cork 1981. Law Society of Ireland – Admitted to the Roll of Solicitors in 1984. Bachelor of Civil Law – University College Dublin 1986. Master of Commercial Law – University of Bristol 1989. Law Society of Ireland – Admitted to the Roll of Solicitors in 1989. Bachelor of Business Studies – Trinity College Dublin 1991. Masters of Arts – Trinity College Dublin 1991. Certificate in Legal Studies – Rathmines College of Further Education 1992. Law Society of Ireland – Admitted to the Roll of Solicitors in 1996. Iain became apprenticed to his father, Riocard J Farrell in 1957. His father had set up his own Solicitors practice at George’s Street, Waterford in 1920. Iain and his father formed a partnership in 1966 and they called their firm “Farrell and Farrell”. They were joined in later years by our current managing partner Donal O’ Connell and the late Jim Mulhearn. They subsequently amalgamated with another Waterford firm, George A. Nolan & Co, Solicitors and formed the large firm of Nolan Farrell & Goff that we have today. Bachelor of Civil Law (BCL) – University College Dublin 1959. Bachelor of Laws (LLB) – University College Dublin 1960. Admitted to the Roll of Solicitors in 1961. Bachelor of Business and Legal Studies – University College Dublin 2001. Law Society of Ireland – Admitted to the Roll of Solicitors in 2001. Bachelor of Civil Law – University College Dublin 1999. Law Society of Ireland – Admitted to the Roll of Solicitors in 2006. Law Society of Ireland – Diploma in Property Tax 2005. Bachelor of Civil Law – University College Cork 2000. Law Society of Ireland – Admitted to the Roll of Solicitors in 2005. Bachelor of Arts in Legal and Business Studies – Waterford Institute of Technology 2002. Law Society of Ireland – Admitted to the Roll of Solicitors in 2009. Bachelor of Civil Law – University College Cork 2001. Law Society of Ireland – Admitted to the Roll of Solicitors in 2007. National Certificate in Legal Studies and Diploma in Legal Studies – Waterford Institute of Technology 1986. Law Society of Ireland – Admitted to the Roll of Solicitors in 1995. 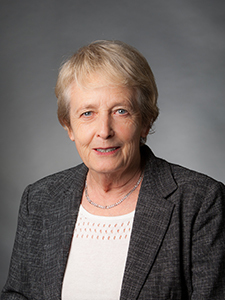 Sheila joined Nolan Farrell and Goff in 1972 as a Legal Secretary and subsequently qualified as a Legal Executive, having gained a vast amount of experience in all types of law. 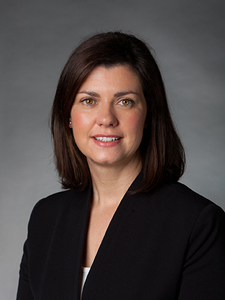 She has particular expertise in all areas of litigation for private individuals, insurance companies and public bodies. 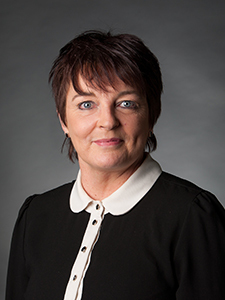 Member of Irish Institute of Legal Executives since 1993. 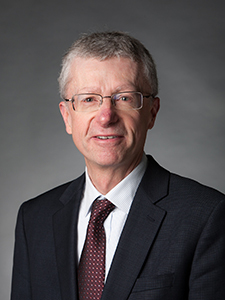 Fellow of Irish Institute of Legal Executives – 1998 to date. 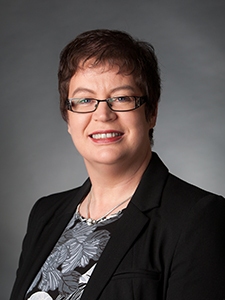 Mary joined Nolan Farrell & Goff in 1982 as a legal executive. 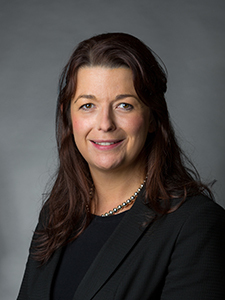 Over the years Mary has gained great expertise in all areas of court work including local government prosecutions, general litigation, personal injury defence, public liability, environmental health, mental health, employer’s liability, licensing law and medical negligence. Diploma in Legal Studies – Waterford Institute of Technology – 1982. 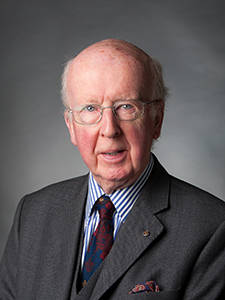 Fellow of Irish Institute of Legal Executives – 1984 to date. For a long number of years, we have dealt extensively with commercial property transactions – acting for Banks, property developers and small businesses. Our aim is to provide a full and rounded service to our commercial clients. Our Solicitors dealing in this area are very “commercially-minded”, and at the same time fully capable of dealing with all the legal and technical issues that arise with a commercial property. We deal extensively with commercial leases, and are fully experienced in negotiations on behalf of both Landlords and of Tenants. Our service is designed to facilitate and progress the transaction. Whereas the priority will be to identify and address important legal issues, at the same time we understand the importance of avoiding unnecessary deadlock and of providing assistance to work around issues that could “break the deal”. We are fully conversant with the complex VAT issues that arise on commercial property transactions, and as necessary we will advise and liaise with the client’s Accountant. 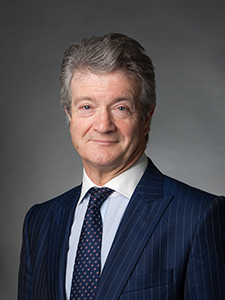 Our team of solicitors has developed expertise in the area of commercial litigation and dispute resolution including contract disputes, regulatory enforcement and corporate liability. We have successfully represented enumerative commercial clients in high profile local and national cases in the civil and commercial courts. We are experienced in all Alternative Dispute Resolution methods, especially Mediation and Arbitration and have experienced and qualified mediators and arbitrators on our team. 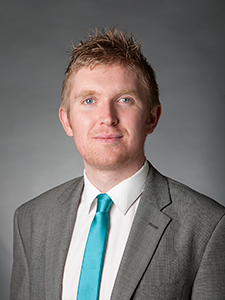 Nolan Farrell & Goff provides a wide range of services for corporate clients and individual business clients. We are very aware of the particular demands that accompany business transactions of any type, and our aim is always to listen carefully and engage fully with the client, and to progress the matter in the very best interest of the client. We are regularly involved with the sale and acquisition of companies, and the preparation of Share Purchase Agreements and Asset Purchase Agreements. Our services extend to the preparation of general commercial Contracts and advice in relation to Purchase Agreements and business asset acquisitions. This includes all aspects of negotiations and of necessary due diligence. The team at Nolan Farrell & Goff deal with a wide range of other commercial issues, company law, regulation and compliance. We are also experienced in the area of Insolvency and Receivership; acting for receivers, liquidators, private individuals and corporate entities and dealing with a wide range of complex legal issues that arise in such circumstances. We have extensive expertise in all aspects of employment law on behalf of both employers and employees. We deal with contracts of employment, HR policies, redundancies, industrial relations issues and employer liability. We represent a wide range of clients in internal disciplinary proceedings and hearings at the Employment Appeals Tribunal, Labour Court, Equality Tribunal and the Civil Courts. Furthermore we deal with employment issues that arise on the transfer of businesses. We have kept ahead of the developments in Environmental, Planning and Development Law and Regulation, having advised many commercial entities, public bodies and private individuals in all areas of contentious and non-contentious environmental work. Our experience ranges from waste management issues, third party liability, licensing, environmental prosecutions and enforcements. We also have expertise and experience in advising on Planning and Development issues arising on various residential, commercial and industrial property transactions. Our solicitors act for a number of public bodies in prosecuting cases of a regulatory nature. We have prosecuted cases for Waterford City Council for decades, keeping abreast of the constant changes in legislation and regulation. We have also advised in the defence of such cases in other regions. Our experience assists us in advising our clients on compliance with the relevant legislative and regulatory obligations they may have, in all areas of private and commercial law. We also represent the Health Service Executive in a broad range of areas where they require legal advice and representation. Other public body clients include the Pensions Ombudsman, the Department of Education, The Motor Insurers Bureau of Ireland, WIT and The State Claims agency. We also defend cases of all types of regulatory cases and our broad experience in prosecution assists us to give very balanced and informed advice to our clients. 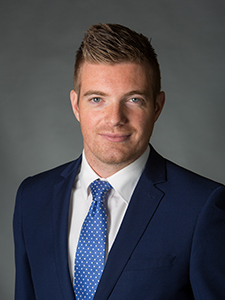 Nolan Farrell & Goff Solicitors offer a cost effective and rounded service for all types of residential property purchases, sales and lettings, not only in Waterford City and County but in all areas of the South East and Nationwide. At the outset, we make it clear to our client what fees and payments will arise, as we understand the importance of budget for an individual client. We explain in detail what work we do, and what issues need to be addressed. Our aim is to avoid surprises for our client in a residential transaction, and to identify at the outset what is likely to arise, and what needs to be done, when it needs to happen. We fully understand the importance of communication with our clients. Our legal practice at Nolan Farrell & Goff provides a comprehensive and cost efficient service for people making Wills. We have considerable expertise in this area, and can advise on all aspects of making a Will. We have specialists in the area of tax and offer detailed advice with regard to Estate tax planning. Nolan Farrell & Goff has a very extensive Probate practice, and we are streamlined to deliver an efficient and cost effective service. We understand the importance of communicating with our clients, and most particularly in circumstances where they have been bereaved. We progress the work as efficiently as possible and we inform clients where delays can be expected. We will provide detailed advice in relation to Capital Acquisitions Tax (Inheritance Tax), and we deal with all necessary tax returns. 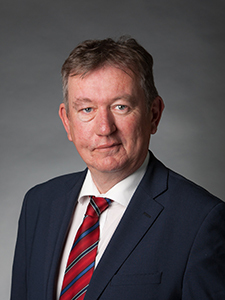 The Coroner for Waterford City and County, John Goff is a partner in the firm and he carries out inquests at the request of An Garda Siochana/the Health Service Executive. This work gives us great insight and experience in to this specialised area. 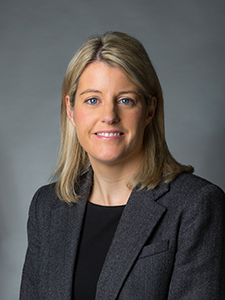 Nolan Farrell & Goff offer a wide range of services to individual clients who need legal advice/ representation in relation to their family situations. We have expertise in mediation, separation agreements, judicial separation, divorce and guardianship and access issues. We use non-contentious and cost effective methods such as mediation and negotiation while having the skill to process cases through the courts effectively where necessary. We have extensive experience and knowledge in the areas of child protection, mental health and disability law. We aim to resolve difficulties as quickly and cost effectively as possible in the best interests of our clients and their families, while understanding the importance of good communication and sensitivity in such difficult times for our clients. We have a very strong team of Solicitors who attend court and deal with all types of cases in the District Courts, Circuit Court, High Court and Supreme Court. We strive to do so in a timely, cost effective manner keeping the clients wishes and instructions at the centre of all court actions. We have a well established practice in civil litigation, including licensing, personal injury, property disputes, contract disputes, road traffic and criminal defence, medical negligence and public liability. We have successfully represented enumerative clients in high profile local and national cases in the civil courts. We act for individuals and hospitals, doctors and unions in the area of specialist area of medical negligence litigation. Through our diverse work we have amassed a broad range of knowledge to assist in our efficient and sensitive approach to the cases we handle for all our clients. Bachelor of Law University College Cork 2008. Masters in Law University College Cork 2009. Law Society of Ireland Admitted to the Roll of Solicitors in May 2014. Bachelor in Laws (LL.B.) Trinity College Dublin 2005. Law Society of Ireland – Admitted to the Roll of Solicitors in 2009. Law Society of England and Wales – Admitted to the Roll of Solicitors in 2009. Associate of the Irish Taxation Institute 2010. Law Society Diploma in Finance Law 2011. BA (Law and French) (University of Wales, Aberystwyth and Universite de Rennes). Higher Diploma in Business and Financial Information Systems (University College a Cork). Admitted as a Solicitor in Ireland. Admitted as a Solicitor in England and Wales (non-practising). Bachelor of Laws (L.L.B.) University of Limerick 2009. 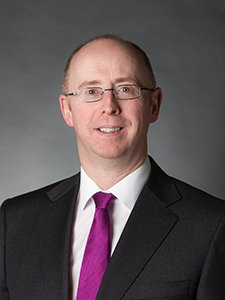 Law Society of Ireland Admitted to the Roll of Solicitors in 2015.